Democratic candidate Joshua Cole’s campaign manager explained Wednesday why Cole won’t contest the Nov. 7 election in Virginia’s 28th District, even though 147 votes were cast in the wrong races in parts of Fredericksburg and Stafford County in a race decided by 73 votes. WASHINGTON — Democratic candidate Joshua Cole’s campaign manager explained Wednesday why Cole won’t contest the Nov. 7 election in Virginia’s 28th District, even though 147 votes were cast in the wrong races in parts of Fredericksburg and Stafford County in a race decided by 73 votes. Eric Sundberg said he and Cole won’t make the request because it would likely fail and could actually prevent a new election. Republican Bob Thomas, who won the 28th District race, had asked that a federal lawsuit filed by Democratic voters seeking a new election be put on hold pending the expected contest. Depending on the outcome of the separate 94th District race in Newport News, which a court found ended in a tie, the House of Delegates is expected to either be split 50-50 or narrowly stay in Republican control at 51-49. “If they waited on a contested election and the result of the contested were determined by a partisan vote that said this was not an issue, would the judge hear the issue still? And I think most people would say no; the judge would go based off the decision of the General Assembly, and that essentially puts us in the bind of do we let politics and politicians decide the outcome. … So, with all the factors at play, it seemed the best solution was to not contest the election,” Sundberg said. A 50-50 tie vote in the House means a motion fails, so he believes Cole would not get the votes needed for a new election. “If we hand it over to a partisan body, it’s gonna go on a party-line vote. We don’t want to see an election go 50-50 or 49-51 because we’re so divided right now, when, in reality, this isn’t an issue that can be handled by partisan interest. This is truly a mathematical problem we’re talking about,” Sundberg said. While at least 147 voters actually cast ballots in the wrong races across the 2nd, 28th and 88th House Districts in parts of Fredericksburg and Stafford County, the State Board of Elections found at least 237 more who did not vote Nov. 7 were also assigned to the wrong districts, for a total of 384 misassigned voters in the state system usually updated by local elections officials. The misassignments largely seem to be mistakes, state elections officials have said. The scale and reasons for the error could be important in the federal lawsuit, since legal precedents require a judge find more than a “garden-variety” election error took place before ordering a new election or other remedies. “I don’t think we can view it as that; we’re talking about a serious issue here. It may be just a clerical issue, but we’re talking about 384 voters that are being disenfranchised here and not given the civil right that they have to vote,” Sundberg said. The Cole campaign also believes the federal lawsuit could offer a quicker solution if the judge issues an injunction following a hearing Jan. 5, but did consider whether U.S. District Judge T.S. Ellis may question the voter lawsuit’s status if the candidate is not contesting the election. “We definitely talked about that as a possibility, but we don’t think that should be the motivating factor. The reality is this draws important attention away from a case filed by voters for voters,” Sundberg said. “They deserve the right to be heard and to air their grievances, and to delay that with a contested election is just not fair to them,” he added. The General Assembly convenes Jan. 10. Under a contest, the setting of rules for a committee investigation, a series of witness interviews and other steps, then a full House vote, all could have delayed a final decision to confirm Thomas as the winner, or hold a new election, for weeks. “And it means that someone who’s really maybe not supposed to be the delegate is sitting in that seat for quite a long period of time,” Sundberg argued. There is no dispute that Thomas won by 73 votes based on the actual ballots cast in the Nov. 7 election. “We agree that the vote count is 73 in difference after the recount …. 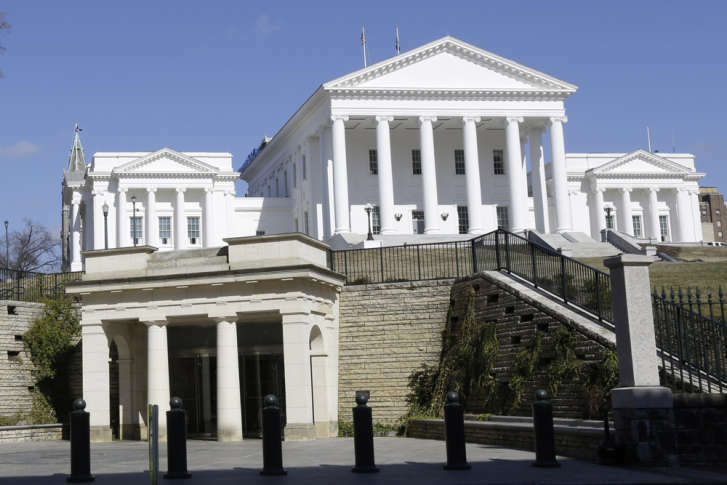 What I think we disagree on is that the 384 voters that have been identified by the Virginia Department of Elections as being placed in the wrong district … should have their votes counted,” Sundberg said. “There shouldn’t be any politics. To avoid that issue, we chose to not contest. We handed it over to the legal system to deal with and we hope that the legal system is able to come to a fair conclusion for the voters,” he said.